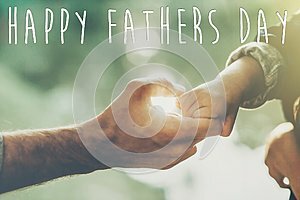 Happy father`s day text, greeting card concept. father and little son holding hands in sunlight in summer forest. Trust, care and parenting family concept. fathers day. road to life.